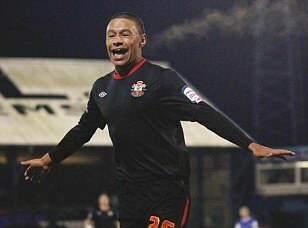 According to The Daily Mail Arsenal are close to agreeing a £5million deal for Southampton teenage hotshot Alex Oxlade-Chamberlain. Manager Arsene Wenger has moved swiftly to head off interest from Liverpool, Chelsea and Manchester United in the 17-year-old.Arsenal have a strong relationship with Southampton after signing Theo Walcott in 2006 and the Oxlade-Chamberlain transfer will be similar.They paid £5m for Walcott with another £7m based on appearances and England caps.Southampton are still negotiating but hope to achieve £10m for Oxlade-Chamberlain, with the player staying on loan for the rest of the season.His father, former England winger Mark, has said his son can be even better than Walcott, having coached the England forward at Southampton.Chamberlain said: ‘I’ve worked with both. As an all-round technical player Alex has more to offer.’The attention of Liverpool director of football strategy Damien Comolli and United boss Sir Alex Ferguson has made Arsenal act.